Bruce Campbell doesn't just love planes, he lives inside of one. 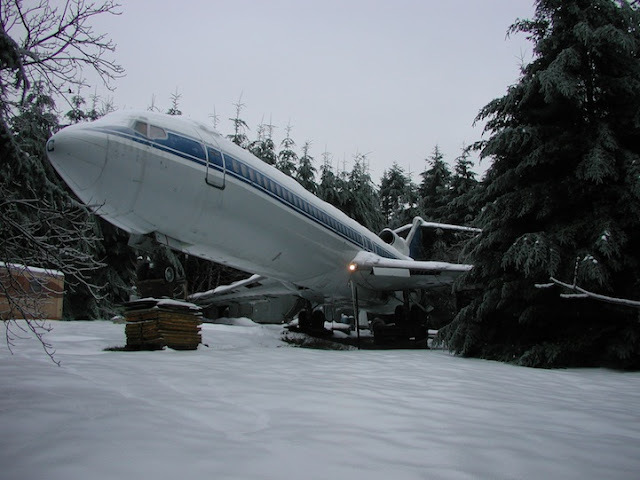 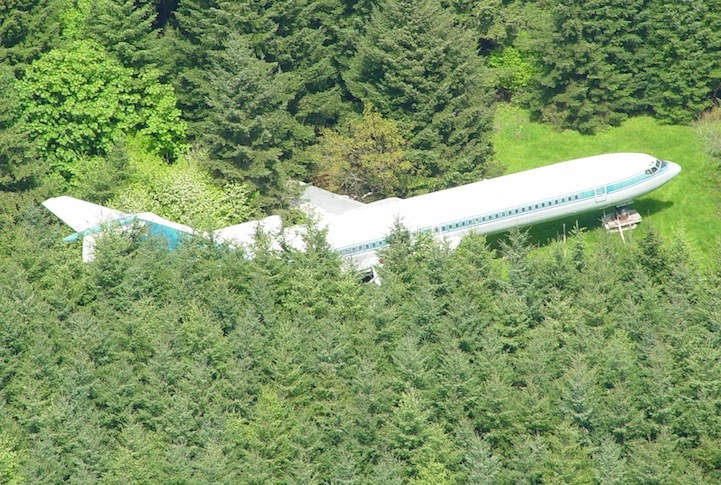 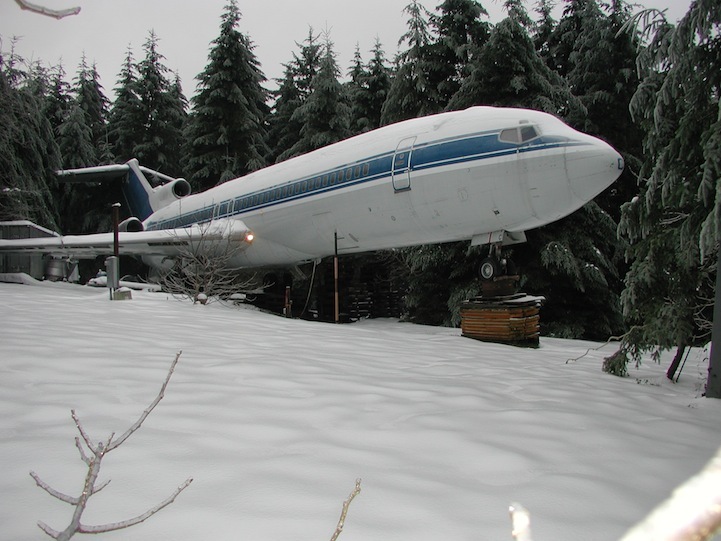 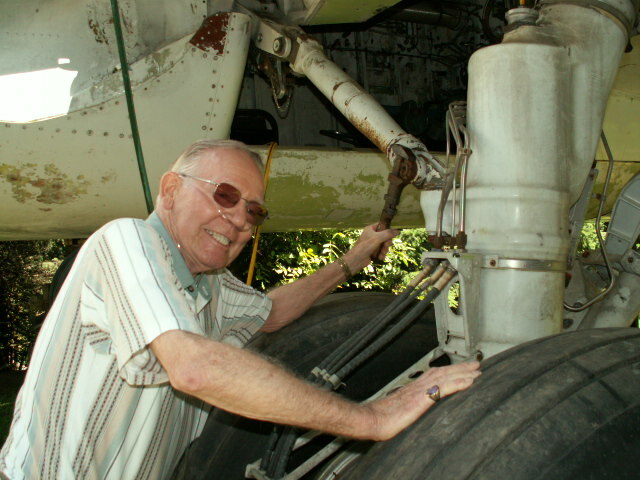 After purchasing a a Boeing 727-200 for $100,000, he placed it in his backyard, otherwise known as the middle of the woods in Oregon. Campbell's startup costs were actually quite considerable. 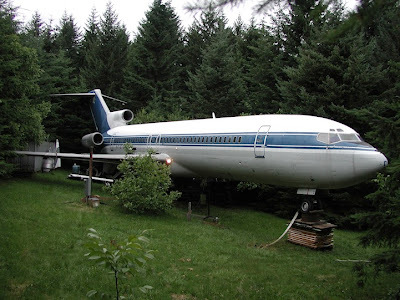 He paid $17,000 to move the plane from an airport to a staging site, $20,000 to rent the staging site for four months, $21,600 to remove the wings and tail, and $25,000 to finally move it to his house. 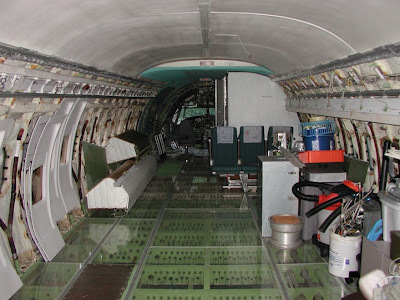 Instead of transforming the 1,066 sq ft interior of the plane to resemble a modern home, Campbell chose to leave a lot of the original equipment intact. He uses the cockpit as a reading room and installed a computer monitor right in the middle of the instrument panel. 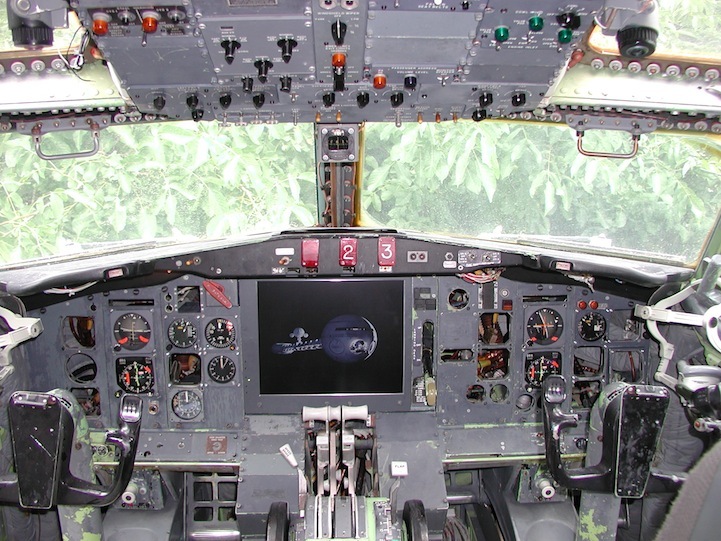 There is plenty of storage in the cargo hold and the wings serve as a great deck. 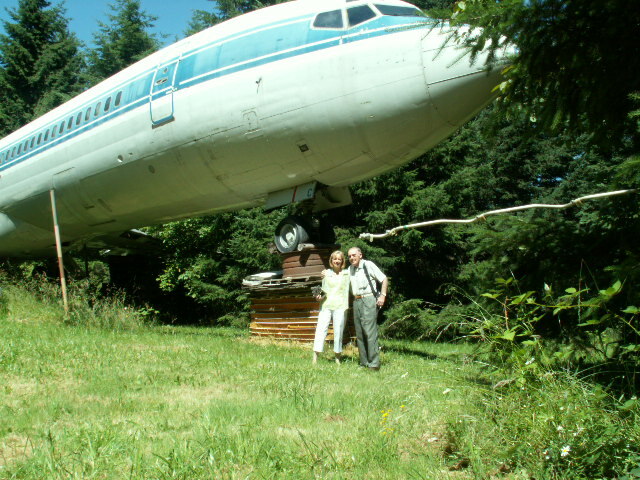 Even the original water tank and plumbing are used by his clothes washer. 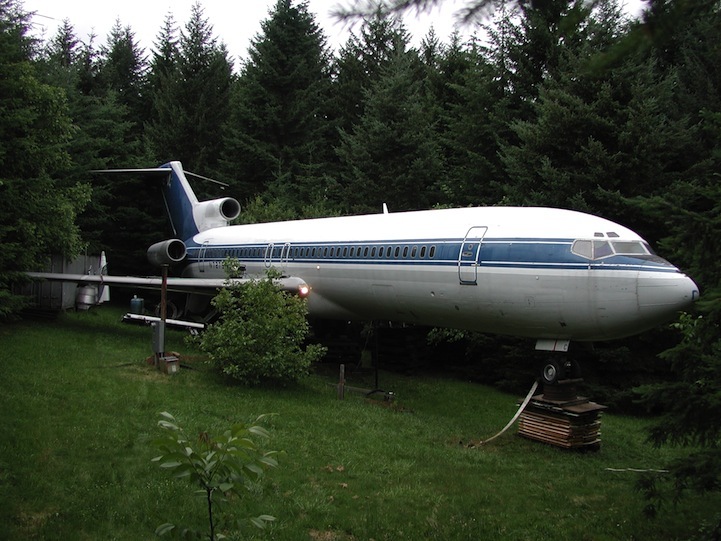 His most intriguing renovation has to be his transparent floor. The original was torn out and replaced with translucent panels, allowing visitors to see the super structure’s ribs and controlling cables running from the cockpit to the wings and tail. 2 responses to "Living Inside a Boeing 727"